Tid bits from my take on life in 2011. For the latest, click on the tab above. Its the 5th day of Ramazan and already I can sense a strange disquiet on the roads. Nothing new in that, except that the rush, the inching in to get in or out of line, the looks and stares have started earlier than usual this year. Political observers attribute this as ever to the conditions of the economy and the country in general. Psychologically, only extreme examples of food deprivation come to mind, none of which seem to fit here. Hunger for a limited time, when one knows that there will be an end to it, causes mild irritation for sure if prolonged and with the additional factor of burning heat added, but the reactions we have on the roads are in excess of what is expected. Perhaps another dimension is that over some period of time we have been losing our levels of tolerance. It can be sensed in the way the direct-pick-up-the-mobile instead of calling on landline translates into an incessant honking of the horn outside the gate and the idea that the person wanted inside the house will fly out in a matter of seconds. Another horn happy instance can be seen in a traffic jam where many feel it to be their duty to herd the commuters along. A very young version of me once revelled in the idea of owning Chitty chitty bang bang or Knight rider, only to discover that it was a shared dream with others. Now I shudder. If we Pakistanlings are unable to follow properly demarcated roads then how on earth will we follow aerospace rules? Ramazan rage and swindling is on the rise this Ramazan. Another money making scheme was just witnessed on Main Khayaban e Jami, Karachi where a tiny little school van came packed with goodies today. As I write this, this farcical scheme is still going on where a company by the nonexistent name of Aryan Enterprises has supposedly launched a dubious custard packaging with a prize scheme – get a ‘free’ blender, tv, sheraton dinner or Nokia N73 cellphone if the coupon yields that name – all for a paltry 1400 rupees. The catch: the France made blender is actually a ‘Mounelux’ instead of Mouleneux (meet the Bata – Beta version), the cell phone with a sheepish admission when confronted, turns to a made in China cheap revision, the TV suddenly goes from a made in Korea to dubious Malay origins and the men incharge earlier smiling and pleasing, turn into the sheepish, sidelong glances types when charged with fraud. Full marks for the initiative though. The Phir bhi dil hai Hindustani version of Pakistani money makers. ‘Kabhi nayey packet mein baichain tum ko cheez purani’. And this is just the beginning of Ramazan. Stay tuned for more from the roads of Karachi. Au revoir. Just got a phone call from an irate neighbour questioning my take on child psychology when I don’t return her son’s cricket balls. Now should I really explain the consequences of negative punishment? Well, positive reinforcement and negative reinforcement both having failed, time for the big ‘P’. Thats my take on it for now. In addition I have been told that the cricket balls WILL continue to fall in my house and I should deal with my negative emotions; and that ofcourse there is a 1 in 100 chance of getting hit by one (it narrowly missed me a few days back), and ofcourse cricket balls are not strong enough to break windows of a car or a house. Im totally re-educated! 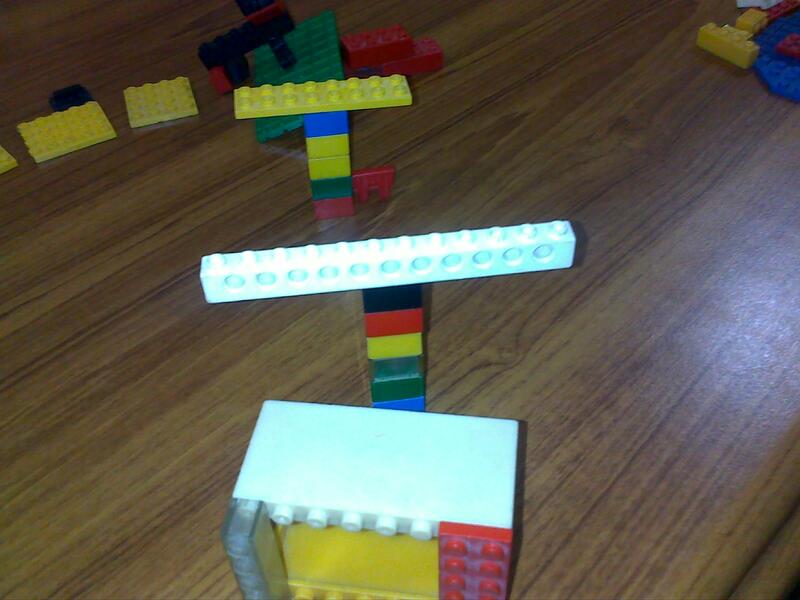 The icing on the cake: I also learnt that this is how children learn to bat sixers otherwise how else will they learn?! I suddenly have visions of young Afridi in knickers having half the neighbourhood running after him with sticks. So wherein lies the soloution? It truly is a sad fact that we barely have enough playgrounds for children in the city. Yet, there is one very near my house and there happens to be just that someone who can take this kid out to play there. So, till I find another solution, long live negative punishment. Though in this case after hearing a lot of irrational beliefs, I’d say the mother needs it more than the child. 13/05/2011 Revelation – Personal Eureka on Islamic Practices and Self Healing Practices in the World. Yesterday night I was hit by a revelation. Today it hit harder as I actually said it in front of a friend. I was printing out a manual for Reiki level 2 when looking at the hand positions and the conceptual framework I was struck by how close the entire concept is to Islamic Practices of Namaz and Roza, Saum o Salat. The conceptual framework including meditation – relaxation – focussing on the words – placement of the hands … it all falls into place. Reiki linked with places we touch, Yoga linked with how we move and bend, Meditation linked with how we focus on removing external worries while we focus on His names. The list goes on and on. While we are praying it is not for Allah only; it is He who has created this system for us so that we are purified by the process. Reiki may well call it the flow of the eternal life force. Bottom line – If one can take out time for Reiki, one can take out time to pray. The most natural and best God given gift to Man – provided one focusses, lets go of external stressors while praying and most important of all: ‘believes’! Pure Taqwa. Water. It is not just Man’s basic need but essential to all life on Earth. Imagine if this necessity were to become a luxury…And this is exactly what may happen and soon enough if we are not careful in water conservation – and here by conservation the reference is not just to its use but also its abuse ranging from overuse to the addition of various pollutants. I have just come within inches of a bomb blast today. On my way to work I saw ambulances, sirens blaring rushing past and several police vans. This is the third blast in a bus in 2 days. I don’t know how long this madness will last where innocent people are killed daily and yet fingers point all around. The blame game doesn’t end does it? Terror comes in various garbs and the one that is most potent is the one that injects fear in the masses. Overdose of fear can at times lead to apathy like the proverbial switch that has become faulty due to overuse. Right now, perhaps apathy is our double edged sword – the defense that keeps us going and the withdrawal in our own shells and little worlds that leads to social ignorance and carelessness. If this is a war, which side are we on? Dementia-ville – Shades of the Past ? As a child it was fascinating yet quite a bit disturbing to be with certain old people at times. They would ask you your name over and over again or their hands would tremble so much that it was scary to be near them. Yet the way they smiled and their love and care cannot be denied. For the young child who has yet to see and know much of disease and despair, the revelation can be disturbing, yet growing up with it can teach a lot in the name of patience and humility. Years later after a sojourn into the sketchy roads psychology can take us along; I have a name for the various issues caused by this condition. Dementia – or the cognitive decline in daily life functioning is a term that has both the aforementioned scenarios attached to it and more. When I was younger, I grew up in a family where it was obvious that older parents and grandparents would be taken care of by their relatives. Not doing so was unthinkable and inexplicable. Tempers flared, grievances were common on both sides of the generational divide and one learned that this is how things moved on. Age brought on various issues and life had to move on accordingly. In my clinic now, I notice a change that has hit our conservative collectivistic culture several years after it was already an established ‘western’ tradition. The younger generation has a greater tendency to have both genders working long hours. Taking care of the elderly is no longer considered a first priority in many cases as it used to be earlier. Consequently the concept of old people’s homes is talked about in hushed tones but nevertheless – talked about. Each story can have several angles and so does this one. One may argue that better nursing care is available at old people’s homes or centres such as this – an extremely derogatory name of a proposed dementia-ville of sorts that has health care professionals divided in opinion http://www.independent.co.uk/news/world/europe/switzerlands-dementiaville-designed-to-mirror-the-past-6293712.html . On the other hand there is much to be said for old fashioned home care. While round the clock health care facilities are provided at such spaces they are no replacement for the ease of living if provided in one’s own home in familiar surroundings. I have seen several instances where those with a moderate degree of dementia do very well when under the supervision of health care practitioners who may also train the caregivers to create cues for the patient. While the facility such as the one mentioned here may be an open door facility that would help in a rather advanced stage of Alzheimer’s, there are people doing extremely well in the home with nursing attendants or family members. Surely it is difficult, but not impossible. At the same time, even those suffering from dementia such as Alzheimer’s disease need a change and day long facilities may be just the right amount of change. Family members need to take care of their own health as well and providing round the clock nursing to an often irritable person can be a heavy task unless one is blessed with a rather large family with someone there to cater to various needs round the clock. Some respite may be provided by day care facilities which would go a long way towards keeping things harmonious at home. Younger children can learn from the patience and sacrifice invested in the process of home care and the family system can develop beautifully. There is after all, a lot to be said for the value system of taking care of elders in the circle of life just as they once did when we were young. Diagnosis is a critical element of clinical psychology. Working in a clinical environment day in and out exposes one to a multitude of disorders across all age groups. Quite often in my clinical work I find myself wishing that a certain patient had approached a psychologist for help at an early age so that the problem would not have intensified. Unfortunately in spite of the data available for psychological practice in Pakistan, most parents consider it a huge stigma to bring a child to a psychiatrist or psychologist. Many schedule their visits at times when others are at work or school, especially in a joint family setting and issues are avoided rather than addressed. In short, we relive the vestiges of the ostrich syndrome again and again until the issue at hand becomes severe enough for school authorities to take note and call in the parents. It is at that time that psychologists are frantically urged, pushed and rushed into giving ‘reports’ and providing that elusive diagnosis. Here, I have outlined some basic points for parents to consider in cases where they either suspect a developmental delay or where their child has been diagnosed with a disorder such as Down’s syndrome, Mental retardation or has Autistic features. It is by no means a complete review and if you want details and help,you will need to contact a qualified psychologist. In cases where a child shows developmental delay in his speech and motor functions. The early intervention plan formulated for him includes aspects from these areas. Developmental delay means that a child has not attained developmental milestones expected for the child’s age in one or more of the following areas of development: cognitive, physical (including vision and hearing), communication, social-emotional, or adaptive development. Clinically, a developmental delay is a delay that has been measured using clinical opinion, appropriate diagnostic procedures, and documented as a 12-month delay in one functional area; or a 33% delay in one functional area or a 25% delay in each of two areas. As children change from “toddlers” to a “preschoolers,” they are “transitioning” from the early intervention process to a process more suitable for preschoolers and a revision is usually needed as they turn 4 years old and beyond. Do you remember your childhood? Do the words, ‘gift’ and ‘surprise’ ring a bell? if they do, and the memory is pleasurable, it is probable that you were rewarded appropriately by your parents and they did not overindulge you. Rewards given appropriately and not as bribes or given far in extnet of the behaviour expected, work. When parents complain about rewards not working I have frequently observed that this is usually due to the fact that the so called reward has no value in child’s eyes – it is something that he can get in anycase if he screams loudly enough, throws a tantrum or if his parents really want him to be quiet. ‘If you listen to me you will get a choclate…. okay … you will get two chocolates… okay three… and finally *slap* and *drag*… parental guilt attack and a few more chocolates later… a heavy sigh with ‘these children are just uncontrollable’ …’. Select a behavior for which the reward will be given. Select a suitable rewardsuch as it can be a favorite toy or simply clapping by the parents – anything that makes him happy will do. Keep in mind that the reward needs to be valued by him for any effect to take place and it must be given immediately. When working towards any goal in your mind, start off with rewarding every single time he makes the slightest push towards the desired behavior, and then later increase the level of response expected by the child before he gets the reward. Make sure that non performance does not get that reward any longer. For e.g. in order to help him get what he needs, for the first four days, reward for a behaviour already being followed so he may be rewarded whenever he points towards an object he wants, then reward for the next four days whenever he makes some articulate sound while pointing (not merely screaming), then for another four days reward when he imitates or makes some attempt to imitate you as you name the object (do not be strict about accent and pronunciation) and so on, until he starts naming the object on his own. After the first four times, vary the reward that is, you do not need to provide the reward each time but instead provide it randomly and eventually stop. You can give a bigger reward as a closure for an older child and tell him that this ‘game’ has now ended. Patience is the key here and the parents will need to show the child exactly what response will get him the reward several times before he even starts imitating them. As a parent you need to set up both short and long term goals based on an understanding of your child’s needs, strengths and weaknesses. A psychological counselor can help you in this process. Long term goals are important as the child nears the preschool or school age. These describe the expected growth in the child’s skills and knowledge over the next year as a result of the special education that he receives. Goals should be positive, measurable and achievable. This will help understand the child’s level of growth from year to year. WHAT WILL BE ACHIEVED? : Skill(s) or specific behavior. This part begins by asking yourself what the child can currently do and then making markers based upon achieving a specific skill in a specific period of time. Be REALISTIC and research well before setting up a goal that involves a child being perfectly potty trained at age 1! You are raising a human being, not a robot. And yes, I have come across people who have expected that. HOW? : To what extent and in what manner? WHEN? : At what point. Specify the time and age level of your child when the aforementioned will be made possible. N.B: Regularly matching the progress report provided by school teachers with your short and long terms goals worksheet will help you in this process. Six monthly meetings with your child’s teachers are also essential for updating yourself. Information and checklists provided herein are to be used as a guideline and not for final diagnostic evaluation. Interventions are provided at the end and are meant to be used by the parents at home. Articulation problems: A child may have difficulty in articulation. This is a difficulty with pronouncing sounds to make words. There are many reasons children have difficulty in making sounds. These include hearing problems, poor muscle control, cleft palate and lip or learning problems. The checklist below shows the age at which native English speaking children use a sound correctly. Marking your child’s age, with a pencil, after every few months in the area on the left, will give you an idea of his progress in his level of articulation. • 90 per cent or greater by age four. Certain toys available in the market produce sounds when buttons are pressed. Your child can be encouraged to play using toys that call out the alphabet phonetically. The parents need to say the letter aloud in the same manner and encourage the child to repeat. Initially this may yield no result but do not give up. While producing a sound, proceed systematically starting from ‘A’ and going till ‘Z’. Stick to one sound for some days before progressing. Certain sounds such as ‘o’ involve very obvious lip movements and the child can be taught by making him place his fingers on the parent’s lips and tracing the shape while the sound is being produced. For sounds such as ‘t’ and ‘d’ or ‘b’ and ‘p’ that have similar lip movements, these should be exaggerated in front of the child to make it easier for him to imitate. Another idea is to place a mirror in front of the child reflecting both the parents and the child while the sound is being produced. The correct behavior should be rewarded. Do not get upset if the sound produced is less than perfect. For most children, articulation becomes better after age 4. Language problems: In addition to articulation, some children also has difficulty in expressive language skills and show developmental delay. Please bear in mind that a child who has a speech, language, or listening problem upon entering kindergarten will be at a distinct disadvantage for learning and participating in class. In kindergarten, children are expected to follow verbal directions,f ollow stories, learn and remember new concepts, answer questions, mimic the sounds and words shared in class, and recount information using speech that is understandable to others. Some children may need regular speech therapy in order to be able to follow these basics. Place a tick mark in front of each statement if true, every 4 months, in order to obtain an idea of how your child is developing. The following can be used to give a child some of the basics and prepare him for all that is to come in the preschool environment. Indulge in book reading with your child. Make a bedtime story a regular habit before putting him down to sleep. This increases vocabulary and helps with parental bonding. It also reduces the incidence of not wanting to go to sleep with most children falling asleep before half the story is done! Place him beside you with your face at his eye level and make sure that his attention remains on the book if you are reading from one. Initially, the child may not be able to pay attention for more than 1 minute. Start off with a short 1 -2 minute story and increase the time slowly as he starts responding. Normally, a 3 years old child is able to listen to a story / poetry for approximately 5 minutes. Go slow and pronounce each word loudly and clearly. Vary your tone where necessary. When he gets distracted, tap twice on the picture in the book to get his attention towards it. Make sure books with big pictures are used that are familiar to him. Point to each picture using the child’s finger(s) / hand and let him trace it as you say out its name. Make a habit of talking to the child, whether it is in the bath, at mealtime or on an outing. Keep in mind that he will learn more from being talked to directly rather than hearing two people talk to each other as happens in cartoons. As before, reward him every time he makes an attempt to answer back using sounds. Later he may be rewarded upon imitation of the word spoken by you. Please note that all the points mentioned above are meant to be used as guidelines only and are not an alternative for proper psychological guidance. Torrential downpour in the country, emergency situation due to floods in Badin, earthquake of 5.7 magnitude in Karachi and Balochistan and the Anthem record of 5000 plus enthusiastic people braving the lashing rain and wind in a stadium in Defence, Karachi – we finally usher in Pakistan’s 64th anniversary celebrations. A much younger version Kiran had written these lines on the occasion of Pakistan’s 50th anniversary. 14 years later, the idea of ‘freedom from injustice and every kind of harm’ rings in my ears. Negative portrayals have far overtaken the positive aspects in media reports. Think positive we are told, and then the buzz dies down after 14th August as the days pass. There are those silent workers who continue their work… the Edhis of the age who never even solicit limelight while their worldly counterparts aka politicians light up million dollar smiles while doling out ration and supplies to the poor. Google doodles have finally given in to repeated demands and come up with a suitable portrayal of the 23rd March monument of the famous Pakistan resolution monument and the crescent and star symbol replete with green and white colour. Green for the muslim masses and white for the minorities – or the sum total for the ideals of purity. A secular state? Iqbal’s dream or Quaid e Azams? Changing of the guards ceremony at the mazaar – the Navy taking over as guards in the wake of the PNS Mehran incident; are they worthy or not? The debatable issues are endless, but is it even worthwhile getting into these debates? The ones who want to work do not need to have every little detail cited and clarified, before starting their work. While the time for action bit may be a cliche’ , it stands before us clearer than ever today. 64 years have passed since Pakistan’s freedom. What freedom you ask? The freedom of choice. In our lives each one of us has boundaries. In the true sense, none of us is ever or ever can ever be completely ‘free’. The bonds of religion may restrict one, the bonds of family may restrict another and so on. Freedom of choice is the only idea that allows us to move in the little squares we step on in our daily lives. Today, if you decide to use this freedom of choice to do a good deed, howsoever small it may seem, who can stop you? And if we all decide to use our time and endeavour to do something good, the ripple effects will surely grow. Where there is a will, there is a way and today will be a new day if you make it different in some way… Will you? There are instances when theory doesn’t exactly translate into practice – rather as I call it, it undergoes a transduction process. Each fragmented element, becoming whole through subjective perception. Let’s just say that the Khorwah medical camp held on 31st July 2011, barely a day before Ramadan, was another of such instances. A brainchild of the 4×4 Offroaders Club, this was my first experience with this group in their medical camp and their dedication to the cause is appreciable. 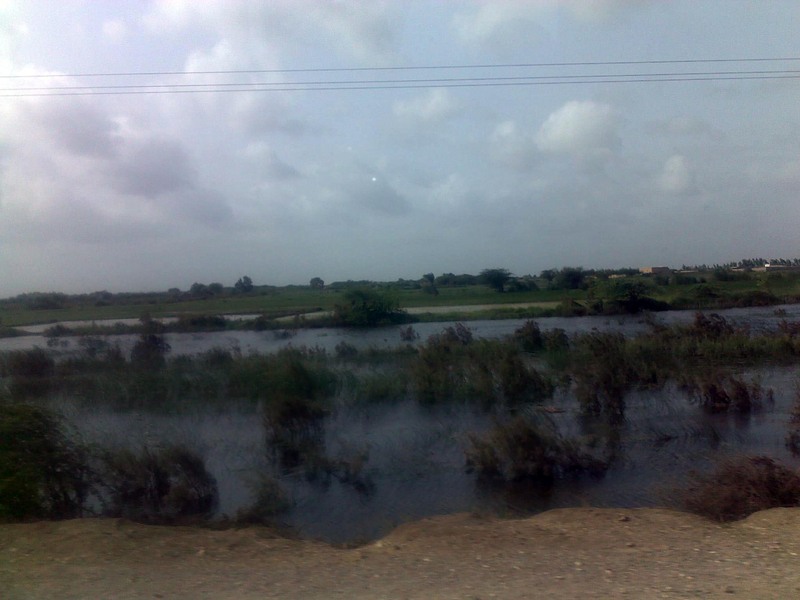 Khorwah, is located in the north east of Karachi and it took us almost 4 hours to reach there by bus. The land may be fertile for paddy fields but it is a hard life for the locals who have a hand-to-mouth living at best. The main profession in the area is hiring oneself out as farm labourers and its secondary adjunct is grazing cattle. A few luckier ones, according to the local definition of ‘luck’, are ironsmiths or carpet weavers, basket weavers and tradesmen who do not have to undergo the hardship of toiling in the hot climate. While a quick online search shows that there are apparently two schools in the vicinity for boys and girls, not one of the children we came across has ever attended a school there and several of the elders shook their heads when asked about the existence of a school. Another ‘ghost school’ perhaps? From a psychological perspective the absence of a school makes the task of psychologists harder for the assessment of children. How does one gather data for any child’s achievement level when there is no available baseline? Simon – Binet and Wechsler, the fathers of intellectual testing, take the backseat in the face of pastoral and cultural dynamics. For my part, I found that I could easily add in a number of intelligences to Gardener’s Theory of Multiple Intelligence while assessing intellectual ability based on performance in Khorwah. The harsh climate, the financial hardships, the lack of knowledge, the focus on medicine only as the cure-all, and the disinterest in prevention over symptomatic treatment are definite barriers to creating awareness of diseases and disorders. There is also a tendency to label all mental issues as ‘pagalpan’ or madness – no matter what the age of the person under speculation. The language and dialect barrier is also hard to overcome. A slightly different inflection of the voice even if close to the original Sindhi word, was very difficult for the people, especially the womenfolk to understand. However, all is not as bleak as it looks. There is a definite interest in learning new ways and in the fact that for once there is a ‘different kind of doctor’ – someone who cares, wants to help and is ready to listen and, with no disrespect on my part, is not ‘just a journalist who will listen, go back and write or publish photos and not offer any concrete suggestions for our ailments’. Children with behavioural, intellectual and emotional issues were curious, and eager to try out new exercises yet too afraid of the doctor label to be able to open up and relax. Most of the prevalent diseases are a result of poor health awareness and future programmes can be chalked out to include large scale group therapy with at least one translator available per group. This time we initiated a focus group venture but it did not succeed too well due to the low voice of the translator and addressing partial groups in the audience, neglecting those seated at a distance. It also didn’t help that the translator had her own views regarding what would help the women and what would not and most of the sentences spoken had to undergo negotiation before they were translated. Some of the women who had partially understood the sentence followed the negotiation ball as in a tennis match with frustration writ large on their faces. Another issue is of oral and dental health care. Many women are addicted to various substances used by their husbands and chewing hard betel nuts coupled with calcium deficiency along with other forms of nutritional deficits, leads to brittle teeth, swollen gums and cavities. There is hardly any concept of brushing or even the traditional ‘miswak’ or ‘tooth stick’ use and dry twigs are used if anything gets stuck in between the teeth. The use of salt as a cleansing agent was advocated in front of quite a few women as a cheaper alternative to fill Dentonic bottles once they would get empty. Children were especially eager to show off shiny teeth and this factor can always be used to motivate them on future occasions. PNS Shifa hospital affords us psychologists at the Institute of Professional Psychology, a cushioned existence. It has taken us a while to build up our reputation and most doctors here at PNS Shifa now know what we do, we have interlinks and they many refer cases easily. With the medical camp we went back to basics. I was all the while strongly reminded of the words of our colleagues working in remote areas and in other parts of interior Sindh. It took awhile to tell people at the camp a number of things. Firstly that psychologists do take a long while to diagnose and treat but depending on the type of test or clinical interview, diagnosis can be a quicker deal especially in cases of psychosis and neurological issues, secondly the fact that therapy and counselling does take a number of sessions but there are a number of techniques that can be taught in a shorter time and thirdly the idea for the patients that psychologists are not journalists and they ask questions to diagnose, not write only and that medicines are not a cure-all, there are times when medicines are just not needed. In this entire process I hope we have re-educated more than just the visitors. It was heartening to see many men come forward to discuss their wives genitourinary issues after they had been silently observing us from a distance and felt that they could get some assistance from this ‘different’ method of treatment and develop some understanding about how to deal with such issues. I was extremely glad to see one patient in particular who approached us on his own after watching us from a distance. He was worried about his wife’s growing weakness and low mood and a complete clinical interview revealed that she had been suffering from post partum depression since the past one year. He went back encouraged to know the dynamics of the disorder and a few pointers to help her deal with this period of stress. The Medical Camp site sans tables and chairs that were earlier lined up with numbers assigned for each doctor's table. Beautifully organized. In a hospital setting such as the one in which we are based, we take it for granted that in case of any illness – terminal or otherwise, the caregivers will need to be counselled about the mode of care, their issues of anger or treatment follow up and prevention but in Khorwah, out in the open it hit us hard that there are people out there who need to understand that still. Similarly, many patients with chronic chest conditions were referred to us directly and we asked them to first see the general practitioner and then approach us on their way out. 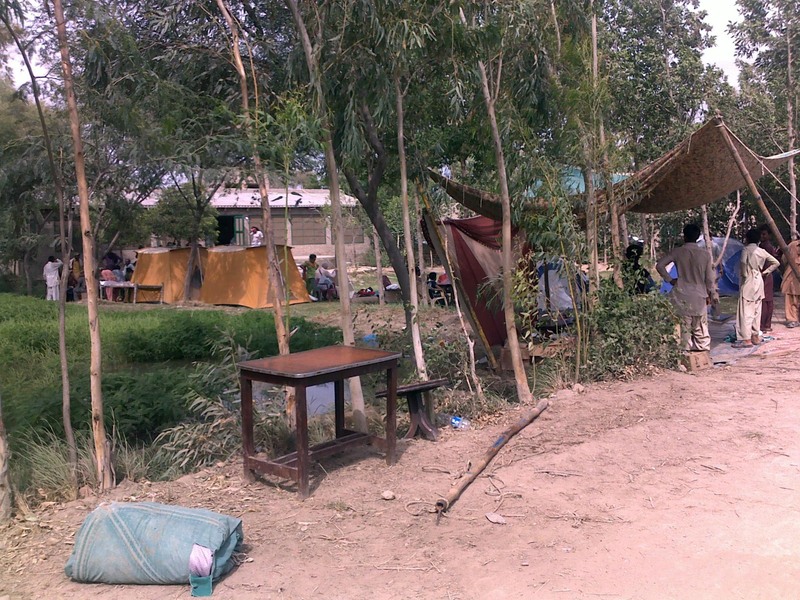 Clinical Psychologists who are interested in the types of psychological issues faced at this remote area and the interventions we used for them would find it interesting that we went far off the beaten track with generally good results. Neurological problems were at the forefront of most cases seen and neurological screeners were applied for evaluation along with intakes. The rush at the camp made many children nervous, cranky and prone to tantrums which made this test very difficult and reinforcement in the form of biscuits generally helped in soothing more than one terrified child. Children also kept thinking that they were going to receive an injection as soon as they closed their eyes for a few subtests and refused outright to close their eyes even for a few seconds. 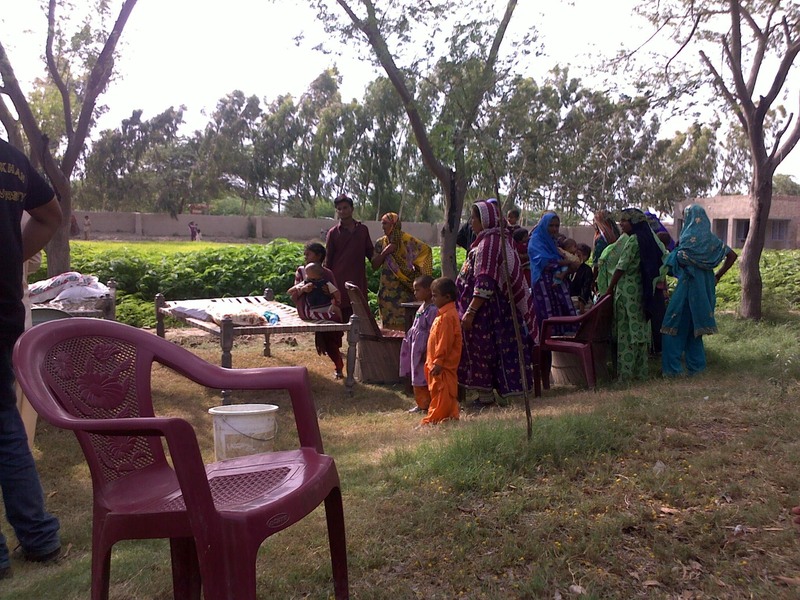 It would be idealistic and demanding to expect a secluded spot for such testing in a medical camp but we improvised by taking a few patients slightly away from the camp for relaxation and guided imagery in the case of anxiety disorders as well as the motor subtests of the neurological screeners. Some patients were referred to hospitals in Karachi for further medical treatment. They were also provided with guidance about occupational therapy and its correlates and demonstrations were given to each patient individually about the simple exercises they could do at home to help improve the gait or eye-hand coordination. Complete diagnosis and treatment for many patients with psychotic features could not be initiated at the camp but initial diagnoses revealed Schizophrenia with prominent visual and auditory hallucinations and they were again given detailed directions for seeking psychiatric help in Karachi. Most of the patients earlier had no idea what to do about this condition of madness and had been at the mercy of faith healers who were fleecing them. Their caregivers were guided about their conditions, expectations, possible prognosis and types of treatment along with modes of care, and do’s and don’ts. Suicidal ideation, suicidal attempts, self mutilating behaviour and depressive features with melancholic states were observed in a number of women. Considering the financial state and the early marriages, childbirth issues, and other problems these women face this does not come as a surprise. A number of Conversion disorder and Somatisation cases that had been labelled as various pain issues gradually floated over to the Psychologists’ table after getting a negative from other doctors present. Far more had been noticed when conversing with the women during the group therapy initiative. Contrary to what some doctors feel, it is important to state here that Conversion and Somatisation are distinct from Malingering and just because there is no physical evidence for the patient’s condition, it does not always mean that he is indulging in attention seeking behaviour or wishes to gain some material benefits. The managers of the estates will as a rule complain about the labourers not working properly and defining a patient as alright and having no pain just because nothing comes up during the course of the physical examination does not mean that from now on the patient will be fine. Conversion symptoms are like the flow of a river. You can barricade the pressure, but temporarily. Eventually, the course may change, the walls of the patient’s self may tumble down or he may experience other similar symptoms incorrectly labelled by many novices as Hypochondriasis. A better alternative is to refer such a case to a psychologist who can then deal with the entire etiological presentation of the case. While there are successes, there are stark facts of unforgiving and harsh circumstances in many cases. A few really saddened us and I still think of the old man who was caught in a catch-22 situation. An ironsmith by profession, he showed initial signs of Parkinsonism, was well aware of the changes in his body and yet he had been abandoned to his current state by his six sons who considered this trade a demeaning one, did not help him financially and he was still looking after his two daughters. Only one son helped him from time to time and he too rebuked him and had been distancing himself from his father. In another case, a man who was the sole breadwinner suffered from severe congestion and asthmatic symptoms each time he was involved in threshing procedures. He had no idea about safety procedures and used no form of protection whatsoever. He was counselled briefly regarding safety procedures and provided with suitable alternatives. The entire initiative on the part of the 4×4 Offroaders was well executed and very well organized in terms of crowd control from start to finish and I’m sure it is not the last one! The whole team deserves to be congratulated and I’ll refrain from taking any one person’s name in particular as each and every member was immensely dedicated. There is always room for improvement and I’m looking forward to the next trip already. Let’s see how many suggestions can be utilized and how far it is possible to correctly identify patients at source or educate each other about our respective roles so that maximum benefits can be derived from everyone’s contributions. N.B. All the photos were taken by me after the camp was almost over and during the camp there was no time to take photographs. Hence there are no photographs of the doctors or the patients undergoing treatment. A safe estimate, however is that nearly 800 – 1000 patients visited the camp that day and were given free medicines, free treatment and physical and mental examinations. If weather was an indicator of how things are on ground, the skies would rain ash. Its ironically lovely outside right now with just a hint of softness in the cool breeze while countless tyres burn on Karachi’s main artery, twitter is abuzz with MQM, PPP and ANP political parties’ love-hate triangleship and the vast majority of the citizens cower at home for fear of losing an arm, leg or precious neck. See no evil, hear no evil and speak no evil needs a revision. The newer version could read “see everything, don’t hear, don’t speak’. For we all know what happens to those who do. Swan songs aplenty in the journalist world to remind us of consequences. And what about tolerance? Bookish knowledge some say. Time for action, say others. The result? Mobs going wild and the scars of the 90’s in Karachi scratched and bleeding once again. Extremism has no religion. A resident of Balfour's Siyabuswa township runs for cover as service delivery protests turned violent. Extremism is a word, not a religion. Cross border dialogues turn into hate tirades and finger pointing but at the end of it all is an individual. In my short period of analysing extremist culture over time in different people from around the globe and more so in Pakistan, the picture has been multidimensional. There are those who feel angry and frustrated by events at a local or international level or those who grow up in the unjust world of lanes where might is right and in order to survive, one must hit hard. Many turn to religion using basic belief systems sans any analysis or psychosocially appropriate zeitgeist and use dogmas to establish an easy basis for intolerance. In order for me to be right (and obviously I am right), you must be wrong. Many others use an extremist identity to resolve their own inner conflicts – a sense of belonging, a sense of support that makes them go on in life, provides them with purpose and eventual fulfilment. Life satisfaction as a double edged sword one may say. It would be a happy ending for all concerned if that ideology would stay contained. Yet, as the followers grow, it spirals into a movement instead and group-think being the time-ticking-bomb it is, it is bound to create a sense of fulfilment now in group ideals. Hence aggression and all its associated features come into play. Karachi has been a bloody playground for party people since ages. Partition and a hunky dory time period passed in a dream and then we had individuals who spoke – the young student leaders who later banded, disbanded and created group-think. Now, its not even group-think, its instinct-think and the law of the jungle integrated. The one with the loudest voice – literal or metallic, gets heard and then there is an even louder silence. MQM behind my removal as home minister: Zulfiqar Mirza. Now we have Zulfiqar Mirza with his anti-MQM statements and the people’s voiceless but action filled rebuttal? Among the nameless faces of pyromania there are quite a few having a party and the venue happens to be the road outside. While Federal Interior minister Rehman Malik apologized on behalf of Mirza to appease the offended, dogs, a donkey, several public transport vehicles and private cars have borne the brunt of most of the anger. Goodbye ozone layer. Hopefully we won’t need you. Goodbye effigies and goodbye outbursts, the people need something more substantial that cringes and whines. Such is the mindset of a tough minded audience while peace lovers look on in shock and disgust. Hundreds gather near Zulfiqar Mirza’s home in Karachi, children chant slogans like a mantra and the onlookers far outnumber the activists. There are videos of people clapping and dancing in rallies in Badin, Hyderabad and other parts of Pakistan. 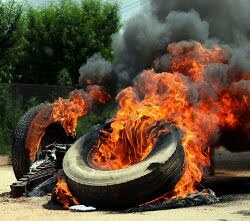 If it were not for the burning tyres, the whole thing would look like a festival. Bonfire anyone? 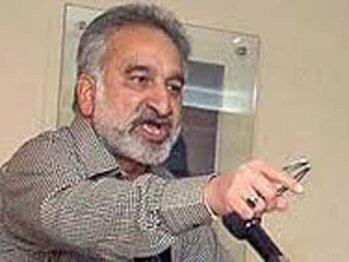 Understood, no one likes to be called ‘hungry and naked’ and be reminded insolently that they were provided shelter; much in the manner of a landlord lording over his bonded labourers, yet is Zulfiqar Mirza’s speech incentive enough for anger? Were offended Karachiites hot headed enough to leap to action at the whip of a tongue of flame? A tongue is a tongue, not a gun and while an apology has been made to the hurt sentiments of the migrant populace, the unwittingly blown speech bubble includes names, and party politics along with an entire community. It will not be an easy task to smooth out everything in 48 hours by issuing ultimatums to those with a tongue to leave the city while the city dwellers vent their feelings conveniently by smashing their own utensils. Truly the angry mind doesn’t think. By the same formula, heaping all Urdu speakers into a pile and associating all of them with the name of MQM doesn’t work either. TV channels are having a field day replaying the video taped speech over and over again. Much like a cricket ball by ball commentary we have shots of the background revealing who shook his head, who didn’t, who smiled, who tapped who on the shoulder and when. Welcome to the world of masala mix. Time to make a third amendment for in-tolerance: See nothing, hear nothing and most definitely SPEAK NOTHING. And ofcourse those who are blind, deaf and dumb will do nothing. Yet among all the gore, there are glimmers of light – the population that can differentiate between the right to speak and the right to vent was till yesterday sending sympathetic messages for the unfortunate blasts in Mumbai and receiving equally thankful and understanding responses from the other side. Flip side of the coin, Pakistan and Afghanistan again gained an infamous image for exporting terror. Export? Both are busy battling the weeds in their own gardens. And where there are gardens, weeds will grow. Seven years old Ali* was rushing around the school playground pretending to be a rocket. The harassed looking teacher tried to explain to his mother how he never seemed to concentrate in class or sit still, always fidgeting and distracting others. His mother seemed equally helpless and soon after giving Ali a box on the ear, dragged him away, scolding him harshly. Four years old Shafia* was known to her parents as a stubborn child. They had started despairing of ever getting her into a reputable school. She could not focus on one thing at a time and appeared to get bored of her toys, alphabets, letters and other educational and play material in less than a few seconds. While her mother tried to coach her in remembering colors and letters, she found she could not do so without hitting her daughter after every few minutes. Ultimately she decided to send her to a preparatory centre for getting admission later in the most elite school in Karachi. The headmistress on the first day said that they had special methods for such stubborn kids but they would have to agree for corporal punishment for their child so the centre could ‘mould’ her properly. Soon enough, the centre also gave up as their methods had only succeeded in developing a fear of studies in the little girl who now quaked at the sight of a pencil and a copy, refusing to touch it at all. Quite often many such cases pass by undiagnosed, where inattention or hyperactivity and impulsivity are the main symptoms. More often than not, they are dismissed as being just kids, or labeled as naughty and punished accordingly. Parents blame teachers for not making the subjects interesting and teachers blame parents for not handling their offspring in a better manner. At the end of it all, it is the child who suffers. ADHD or attention deficit hyperactivity disorder is a disorder characterized by a combination of lack of attention with features of hyperactivity and impulsivity. Psychologists use criteria provided in the Diagnostic and Statistical Manual for Mental Disorders (DSM IV TR) to see if a patient fulfils the minimum six symptoms requirement of either inattention or hyperactivity and impulsivity or both. In case the latter is missing, the diagnosis may be of ADD or attention deficit disorder only where a child is able to sit in one place for more than a few minutes but is not able to focus on his work continuously, loses necessary work items frequently, fails to carry out instructions and even fails to listen when spoken to directly. The diagnosis of hyperactivity/impulsivity disorder seems imminent when a child is always on the go, fidgets a lot, is unable to sit when situations demand it and interrupts or intrudes or has difficulty awaiting his turn. The ‘cure’ for a child with ADHD does not lie in harsh parenting. Correct diagnosis is the key to more than half the problem. Detailed clinical interviews along with certain pen and paper tests taken from the child and the parents help in diagnosis. Psychologists and remedial teachers alike can provide help through structured programs for parents and children. Exercises and games are conducted with children in individual settings that help them in focusing, reducing impulsivity and gaining a greater degree of control on their actions. Psychiatric help is necessary in establishing a correct dosage of methylphenidate (Ritalin) as the growing child requires medical support to help him focus. Controversy surrounds the idea of drug administration to children yet researches suggest that the benefits far outweigh parental concerns of dependency. Psychological help can also be provided in cases of ADHD. In fact many psychologists stress on reducing dependency on drugs and on utilizing a behavior based approach to reduce problem behaviors. In Pakistan, Applied Behavior Analysis or ABA is a relatively new phenomenon. This approach involves utilization of behavior principles such as rewards and different types of plans for focusing on different problems. For e.g. with a child who has a mild level of inattention during class, one of the ABA approaches may be to establish a baseline for the number of times he looks up during his work and then applying a reward system for the swiftness with which he manages to complete his work and then allowing him an early break. Eventually, the premise is that he will be able to develop inner controls and a post intervention analysis will reveal a change in behavior when compared to the baseline. Institutes such as the Institute of Professional Psychology at Bahria University, Karachi, have initiated the teaching of ABA as a subject in Pakistan. The theses and projects produced by the students here show a strong link between the control of symptoms of ADHD and the application of ABA principles. Young patients are treated at the Institute’s PN Shifa outpatient department using behavior principles and parental guidance sessions are carried alongside to ensure the usage of these at home. Child's play haven at IPP, PN Shifa, Karachi. *Names and symptoms have been completely changed and adapted to suit the article. Yet, they are based on true accounts and observations of patients at my workplace. I still remember the first time I saw a pea sprout. Out came the root just as the teacher had predicted and the cotton wad on which it had been placed was handed around gingerly to all one by one to see and marvel at. Much of that innocent wonder has been lost to most of us today. A garden is pretty and the flowers … yes, prettier. And that is it. The benefits of gardening are so diverse that in several parts of the world, horticulture therapy has been inculcated into clinical practice where it provides relief and hope to patients with all kinds of problems ranging from low mood to the omniscient stress and worry that punctuates most modern lifestyles. More than anything, gardening is what you make it. 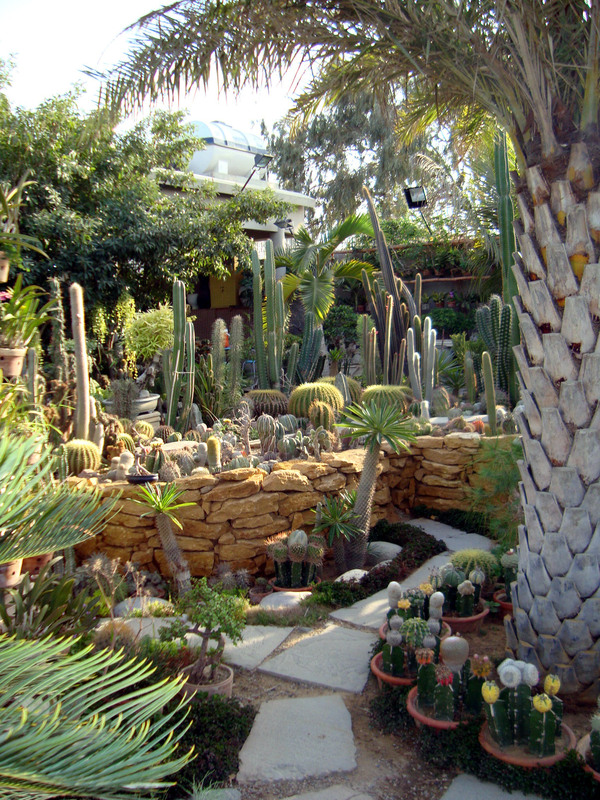 Researchers agree that physically the effects of gardening are quite obvious. Forget about paying extra for the gym, as gardening provides one of the best aerobic exercises that give strength and flexibility to the bones and the muscles alike as well as the cardiovascular and respiratory systems. However, care should be taken with regard to posture while lifting heavy objects. Psychologically speaking, the effects are slower, yet they run deep. In the long run, sleep and appetite can be regulated pretty well by a regular dose of gardening. A routine can be structured around the watering and weeding process that can stimulate the appetite as desired depending on the amount of work done and gift ease in sleeping to the sleepless. The natural rhythm is in more than one way, fine tuned. A thing of beauty is a joy forever wrote Keats and these oft quoted lines bring every planted bulb to life. Whether it is a lonely heart, a sad one or a merely pensive one, the sight of flora and fauna is soothing to the senses. Poetic sentiment isn’t the only plus point here. The physical work associated with caring for an entire garden is said to release endorphins that in turn alleviate stress. Apart from working in a garden, simply being in one also works wonders for the mood and stress levels. 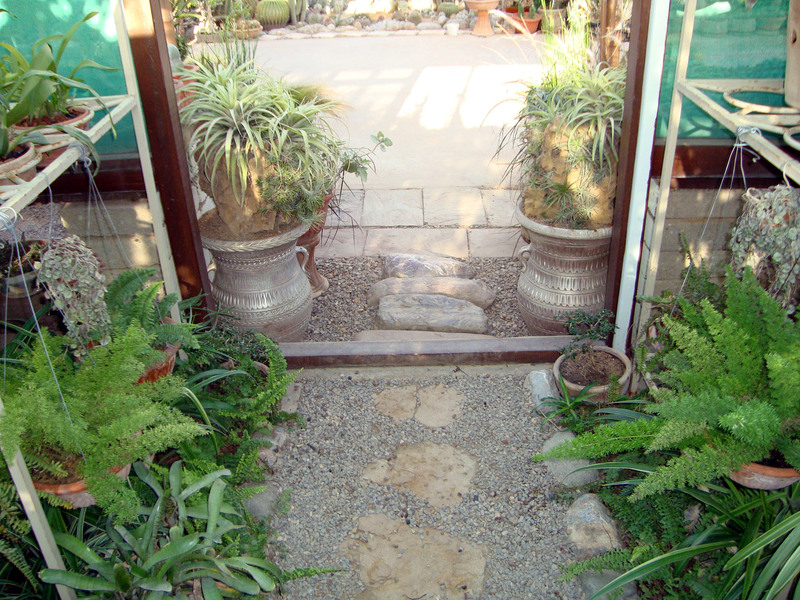 This effect can be heightened through a water garden that ideally has gently flowing water or at least includes some source of water whether a basin or a pond. The sound of water such as that in water features like fountains and imitation waterfalls stimulates the mental capacities and reduces tension inside a person. Visually too, the same effects are felt but over a longer time duration. The process can be meditative as well. The sense of here and now it exudes, quietens the ever critical conscious mind as the individual can finally allow himself to simply… be. The innocent wonder comes surging back at the tiniest instances: a new shoot, the sight of bees around the first flower of the season, or even butterflies twirling merrily round the flowerbeds. provides on the whole a very healthy outlet for pent up emotions. will grow, while enjoying the present and respecting the past. Horticulture therapy has been in practice for quite a few decades now but its beginnings can be traced back to the time of the ancient Greek physician Asclepius who prescribed rest near streams and shady woods as treatment for most illnesses. Dr Benjamin Rush, the Father of American Psychiatry, in the 19th century called gardens curative for people who were emotionally disturbed. Yet, it was the rehabilitation centres emerging in the 1950s that made horticulture therapy popular. In Pakistan, its practice is not yet structured, nor indeed is it known by this name, but individuals have made efforts on their own to involve the elderly, the emotionally disturbed and the mentally challenged in ‘activities’ involving gardening. In its essence, horticulture therapy involves guiding individuals with various emotional issues in their lives towards a better future by empowering them in all phases of the horticulture process from propagation to selling products as a form of satisfaction. This may be internal, allowing for enjoyment of the produce by the person and his family or external through monetary benefits. beneficial to some extent, but not as beneficial as sitting in one with flowers. For the mentally challenged or for those with sensory disabilities, especially children who are intended to work with plants, it is essential that plants are planted for their variations of texture or colour or fragrance rather than the price tag that comes with them. Variations provide a richness of experience unparalleled by mere human toys. Using the bare hands to plant, weed or dig in, provides a sense of purpose and fulfilment when small goals are met and merge into larger ones. For those with motor disabilities gardening can be made easier by raising the beds at least two feet from the ground and making paths between them broader so that manoeuvring becomes easier. panacea and in the long run, helps us grow… together. 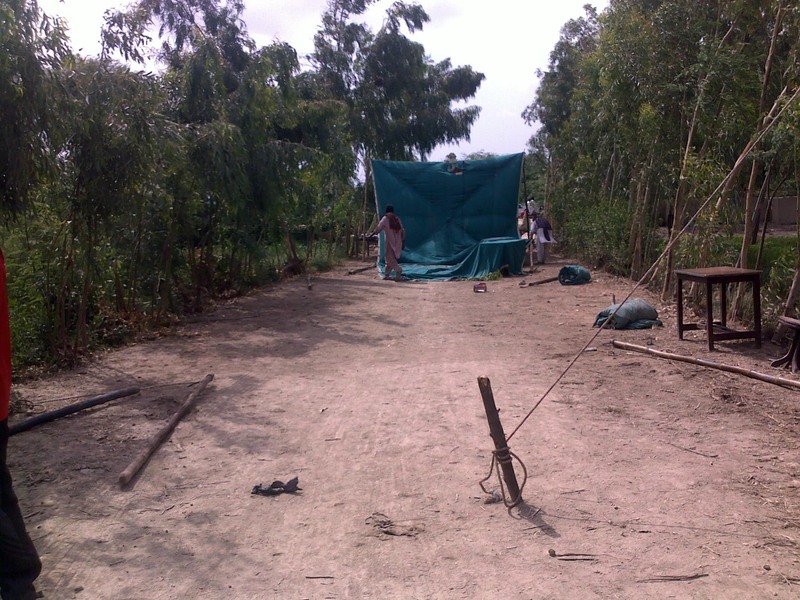 Rehabilitative mental health care in Karachi – A case study of a single psychiatric set up. It is 9:00 A.M. The wide green lawn ensconsed in the quadrangle of the double storey building is bathed in mellow hues. Soon enough, they start emerging from their rooms, wearing fresh clothes after their morning showers. Single file, they are guided downstairs to begin the daily morning excercise session. A variety of expressions meets the eyes. Some look bored, a few seem indifferent, while others are quite enthusiastic – smiles lighting up their features. No, these are not children from a boarding school. They are mentally ill patients and residents of Karwan-e-Hayat PCRC (Psychiatric Care and Rehabilitation Centre) located in Keamari, in Karachi, Pakistan. People have varied and often gross misperceptions about mental health institutions and their resident patients. A rehabilitation centre is often thought to be at par with an assylum with violent, drooling, dishevelled and possibly jumpy patients sitting in dark, narrow cells restrained by chains and administered electric shocks daily. These impressions belie the image of a rehabilitation centre like Karwan-e-Hayat PCRC. Though the entrance hall is flanked by burly security guards and has strong grills in order to prevent the patients from escaping, the rest of the Centre is bright, airy, clean and built on the model of Western rehabilitation centres. There are separate dining halls, activity rooms that are lined with the patient’s own creations and indoor game rooms for male and female patients. 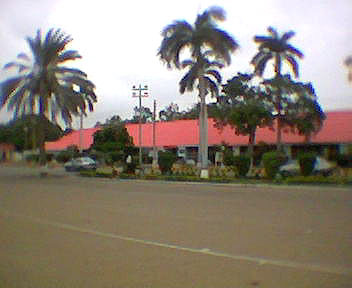 Two buildings adjacent to each other within the same compound house the male and female residential wards, semi private rooms and airconditioned private rooms. Presently it has 65 beds but in future there are plans to increase the number to 100 beds which is the Centre’s actual capacity. In short, it epitomizes the modern residential and Day Care facility for the mentally ill.
Karwan-e-Hayat started out as an NGO in 1983 committed to caring for the underprivileged mentally ill patients. It got off to a good start with names such as Begum Ra’ana Liaquat Ali Khan, Cardinal Joseph Cordeiro, Ms. Anita Ghulam Ali, Prof. Dr. Zaki Hasan, and Dr Zafar Quraishi, who is currently the President of the NGO, as its founding members. In a city like Karachi where mental illness had a great deal of stigma associated with it they made the correct move – that of organizing awareness camps. The target? Again, smartly enough – katchi abadi and slum dwellers who stood in utmost danger of being fleeced by miracle workers and fake pirs. In a simultaneous move, seminars were arranged in high profile schools like St. Joseph’s Convent and Karachi Grammar School. Since then, the NGO has come a long way. The Consultant Psychiatrist of Karwan-e-Hayat PCRC, Dr S. Ajmal Kazmi, met with Dr. Zafar Qureshi in 1995, then the Director of Karwan-e-Hayat. This interaction led to the concept of a rehabilitation centre in Karachi. 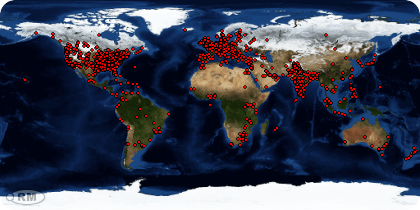 The next few months brought on a search for a suitable location. 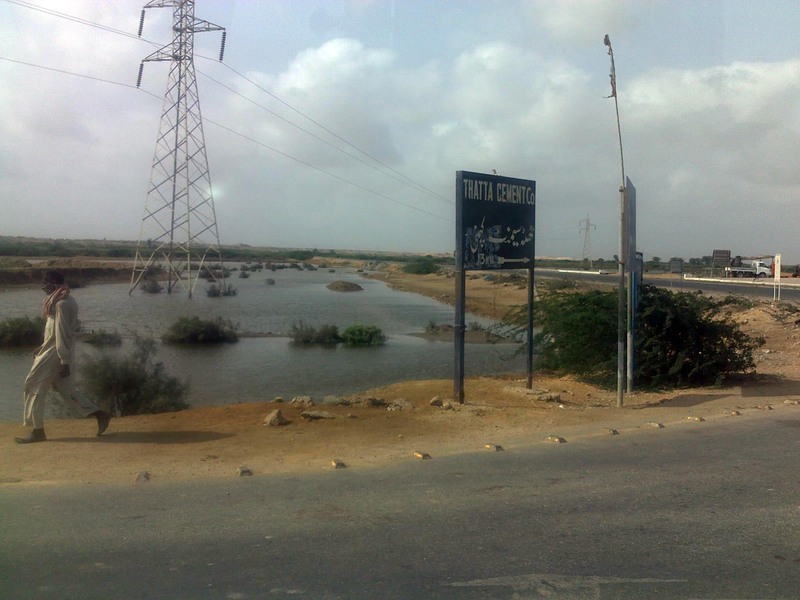 KPT (Karachi Port Trust) were the owners of this premises in Keamari and after spending around Rs. 80 lacs for renovation, it became fully functional in 2004. As it is primarily a charity organization, 90% of the patients are treated free of cost thanks to various donors like Rotary Club Karachi and Infaq Foundation. 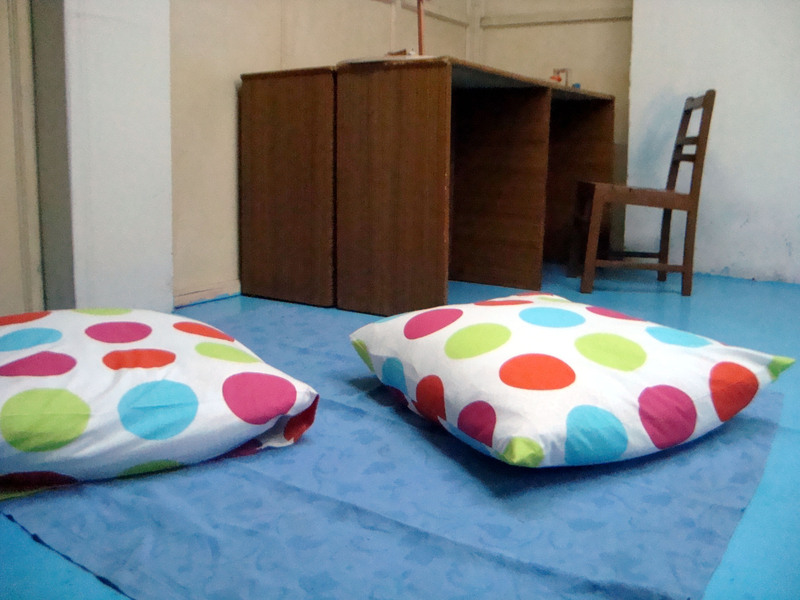 Theoretically, Karwan-e-Hayat combines two concepts – a rehabilitation program and a crisis house. As such it provides services like medical examination and assistance, rehabilitation counselling and occupational training opportunities found in rehabilitation programs. As a crisis house in a community setting it is based on the model of rehabilitation and accordingly is staffed by mental health care professionals. The relatively little research that exists on such centres has not only found that they are very acceptable to their residents, but also suggests that they may be able to offer an alternative to inpatient care for about a quarter of the patients admitted to hospital, and that they may be more cost-effective in the long run than inpatient care since most patients are eventually assimilated back into society! Karwan e Hayat follows a multidimensional approach for treatment of adult patients between the ages of 18 years to 65 years. Drug addicts were earlier not treated here due to the vast differences in treatment methodology and other complexities. However, drug addicts suffering from psychoses are now admitted and treated. Generally, firstly an RMO (Resident Medical Officer) medically examines the patient in the OPD and takes his history. Next he is sent to a Psychiatrist for consultation where, if needed, he is prescribed medication or admitted as an inpatient. The Centre offers admission to some patients who need inpatient care because of acute and severe mental health conditions like Schizophrenia, Bipolar Disorder etc. The patient may also be referred to the Clinical Psychologists for psychological testing and psychotherapy to resolve his inner conflicts. Inpatients are divided into three main categories for individual psychotherapy which takes place twice a week: 1. Obsessive Compulsive Disorder and Depression, 2. Schizophrenia, and 3. Personality disorders. Testing material worth Rs. 3.5 lacs has been acquired by the Centre to facilitate psychological diagnosis. Occupational Therapists attend to the patient in the Centre’s Day Care. They give the patient something purposeful to do in the Activity Rooms with the intention of improving his general sense of self. Sessions for improving the patients’ awareness about their illness are also conducted frequently with a view towards helping them manage their self care. Various organizations such as the Institute of Professional Psychology and the Aga Khan Hospital send their students to the centre for internships and community service. All these professionals work together to firstly diagnose and then help a chronically ill patient ease into society or at the very least sustain daily functioning ability. There are plans to include a Social Worker in the team this year as in other Western countries, but Dr Kazmi laments that the training provided in Pakistan at Masters level in Sociology or Social Work is far off the mark. A typical day at the Centre starts with the ward boy waking up those in the Inpatient facility and encouraging them to wash themselves and take a shower. Some of the long term stable patients are encouraged to lead the morning Excercise Session. The patients then return to their wards or rooms for the morning round by the mental health professionals. Any decisions taken during this round are noted and the team then divides in two groups for better management of the not so stable inpatients and the Day Care activities. The Day Care group session includes both male and female patients who are stable enough to take part in discussions on basic topics such as “The importance of cleanliness”, “Ways to control anger” or “Hobbies”. The objective of such discussions is to draw the patients out of their fantasy world towards practical life and develop their interests. All other activities apart from the group session are carried out in a segregated environment under supervision. During occupational therapy the patients are encouraged to make arts and craft items as per their interest. Many simply colour in drawing books and often the colours they pick or their manner of colouring is quite suggestive of their inner emotional states. Computers in the activity room are a relatively recent acquisition and selected patients are even taught programs like Microsoft Word by others. Evenings bring with them time for indoor games like table tennis, cards, carrom board and sometimes cricket. While it is encouraging to see the careful supervision of various activities, it is surprising that the patients are exposed to several cable channels and can watch movies – blood, gore and dances included, without a bat of an eyelid by the supervisors, in the activity room. Major activities at the Centre culminate with the Day Care closing at around 4:00 P.M. There is a skeleton staff for night duty to prevent possible mishaps. Overall, it is creditable that Karwan-e-Hayat has not only managed to live up to its mission objectives by establishing centres such as its outpatient clinic on Khayaban e Jami and PCRC at Keamari during the past 24 years, but has fostered healthy links between psychiatrists, psychologists and occupational therapists – bringing them all under one roof at PCRC. Job satisfaction appears to be moderate amongst the staff members which is saying something, since the Centre is located at quite a distance from their homes. Yet many psychologists are sceptical about the level of therapeutic care being provided at the Centre as psychiatrists take centre stage in the proceedings. There are several other rehabilitation centres – for drug addicts or psychotic patients etc located in the city but an impromptu survey taken from mental health professionals and patients revealed that most are not as spacious or as well organized. Moreover, there were complaints regarding the quality of meals provided elsewhere and the level of hygience maintained in the kitchens. Similar complaints of boredom, lack of good and comfort come from patients at this centre as well but they seem to be fewer in comparison. Mental Health Professionals and policy makers would do well to take a leaf out of Karwan-e-Hayat’s book. With Schizophrenia at 11% and Depression at 15% world over, the demand for mental health facilities is bound to increase with the rise in population. Already, a figure of 1.5 million mentally ill people is estimated for Karachi. Karwan-e-Hayat’s PCRC is but a drop in the ocean. True, it is one of the few fairly good centres and is providing free treatment to poor patients but it is definitely too far from the city and has a limited capacity. There is dire need for many more centres, not only in Karachi but in the whole country. N.B. This article was published in 2009 in Expose’ magazine, Karachi.